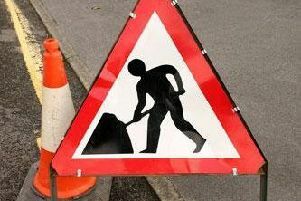 £102,000 of resurfacing works are to begin on a section of the A90 north of Stonehaven from Monday night. This section of the A90 is used by around 15,000 vehicles every day and it now requires upgrading to create a smoother and safer journey for motorists. The resurfacing improvements will begin on Monday (March 13) at 7.30pm and are programmed to take place over three nights, finishing at 6.30am on Thursday (March 16). To ensure the safety of the work force and all trunk road users during the works, a convoy system shall be in operation each night; however this will be removed outside of working hours. Consultation has taken place with local residents in advance of the resurfacing to make them aware of the traffic management arrangements and to minimise any inconvenience. Commenting on the improvements, Andy Thompson, BEAR Scotland’s North East Representative, said: “The investment from Transport Scotland will help improve the general condition and safety of this section of the A90 for motorists by repairing any cracks, potholes or other issues in the road surface.